The goal of the Member Code of Conduct is to establish a baseline expectation of behavior for all members during MCRRC events and forums. The Code is designed to ensure that (1) the atmosphere of the club reflects the supportive, inclusive and respectful nature of our sport, and (2) at no time does the club allow for a hostile environment that threatens the general well-being of the club or its members. This document also outlines procedures for reporting complaints of a code violation. Members who feel that someone has violated MCRRC’s Code of Conduct should contact the Board of Directors, preferably in writing. The Board will take action to review the complaint in a timely manner. If a complaint is valid and depending on the severity of the violation, the Board may opt to consult with a local attorney and/or local law enforcement to determine a course of action. If the Code violation seems like a minor issue, such as a complaint of foul language, then the Board may opt to discuss the violation with the offending member and issue a verbal warning. Such a warning will also be documented in the Board minutes. If the problem persists, a written warning will be provided that outlines how another complaint will result in temporary or permanent loss of membership and that the offending member will be barred from participating in club activities. 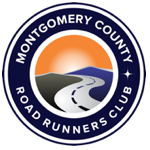 MCRRC is a large community of runners. As with any large group of people, some individuals may just not get along. It is our hope that by being mindful of the behaviors outlined in the Member Code of Conduct, we will simply preserve a supportive, respectful environment where we can all enjoy this sport we love.